If you love coconut like I do…you must try this smoothie! I picked up a big bunch of strawberries at a local stand over the weekend and came up with this smoothie to use some of them up. It was a hit with my boys, and I’m sure you will love it too. I used coconut milk from a can for this smoothie. You can find it in the Asian foods section of any grocery store. 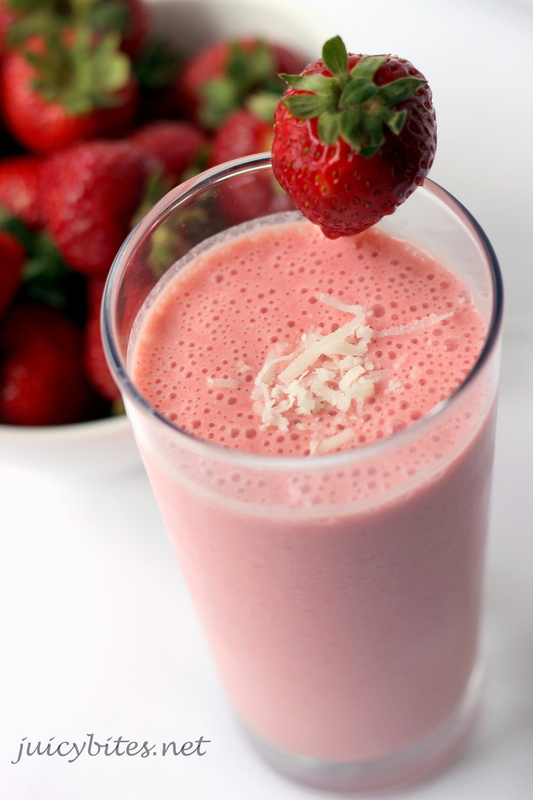 It is rich and creamy and gives the smoothie great flavor. Before you open a can of coconut milk, shake it well to combine the cream and milk together. You still may see a thick layer of coconut cream on the top of the can…that is the best part! Make sure you get a little of that thick coconut cream in your smoothie when you measure it out. It’s rich, so all you need is a little. 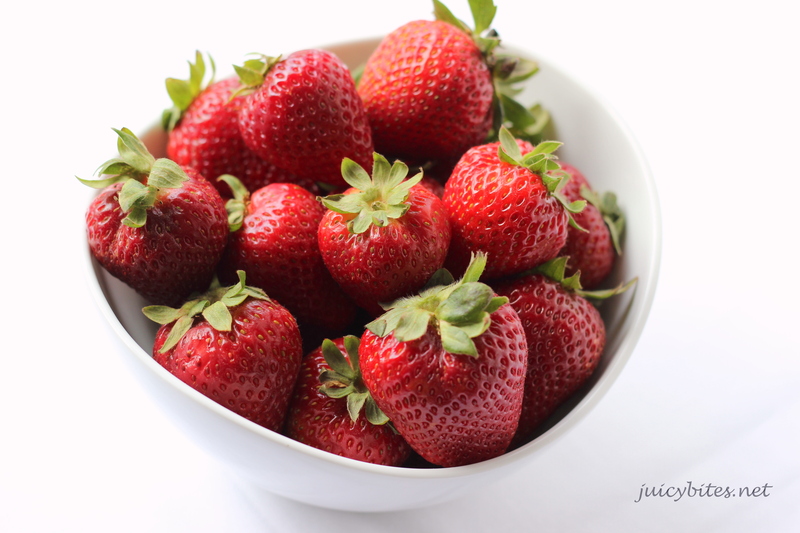 If you have fresh, sweet, & juicy strawberries like I did, great! If not, frozen ones work just as well, maybe even better because you get a frostier, thicker smoothie. If you are watching your sugar, you can cut back by skipping the honey and using unsweetened shredded coconut. If you want to turn this into more of a sweet treat, double or triple the honey to sweeten up the tart yogurt. I’m thinking one of these days I will try subbing some light rum for the milk and turn it into a grown up treat! 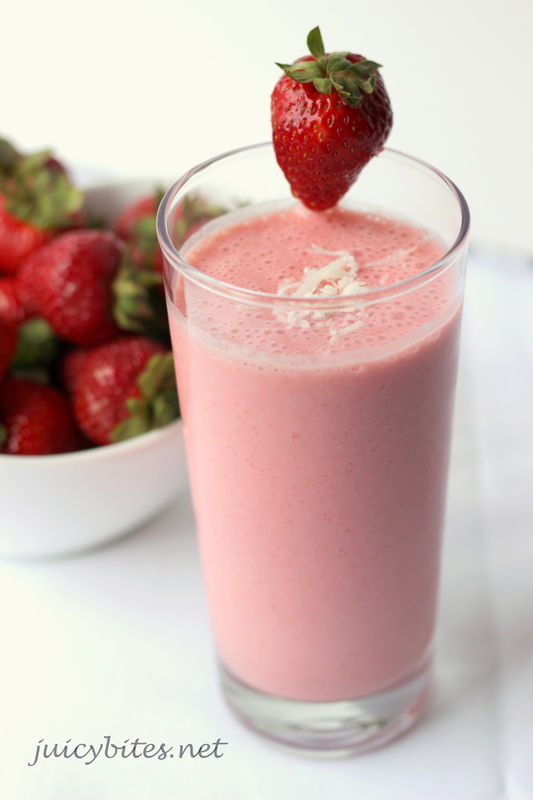 Combine all of the ingredients in a blender. If using fresh strawberries, add 3 or 4 ice cubes. Blend well until smooth and creamy.